When it comes to heading out for dinner, we don’t take much convincing at the worst of times—let alone when there’s a good deal on the table. While pubs tend to dominate dinner-deal lists, our city boasts no shortage of excellent deals every night of the week at places other than your local watering hole, too. What follows is a more refined list of great deals at great restaurants—not that there’s anything wrong with a good pub feed (long live the parmi/pint combo and $12 steaks), but these ones can be harder to sniff out. Here's where to find Perth’s best dinner deals. If the words 'dinner deal' mean anything to you, The Standard's Hawker Mondays should be on your radar. The weekly Monday special varies, spanning Asian cuisine from Vietnam to Japan. Think bottomless broth with fresh herbs and local shellfish all coming in at a flat twenty bucks. It’s unheard of. Did we mention you get your first drink included? If you like your wine fine and paired with pizza, you’ve probably spent more than a few nights at Canteen Pizza. But you may not know that Monday nights spell Pizza & Pinot Night at this beachfront eatery, where the crew crack open top-end pinot (or champers) at a sweet 50% off. Pizza’s the same price, but hey—you can’t have one without the other. Plus, the King of Oysters, Jerry Fraser, will be there from 4pm serving the best of Albany's oysters, so get in fast. Is there anything better than a big bowl of steaming hot chilli mussels with crusty bread? Yes, there is only one thing better, and it’s when said chilli mussels cost a mere 15 bucks like they do at The South Beach Hotel on Monday nights. Yeah, it’s technically a pub, but the dressed-up kind, so we’re including it. The only thing better than a good deal is a good deal that allows choice. Tuesday nights at Five Bar allow just that—hand over $15 and receive your choice of a pulled pork baguette, ricotta gnocchi or a plate of delicious steak tartare. Unfortunately no drink included, but $9 Gage Roads pints on tap ain’t bad anyway. Kitsch Bar's Pad Thai Tuesdays have reached almost legendary status among the dinner deal scouts across our city—us being among them. 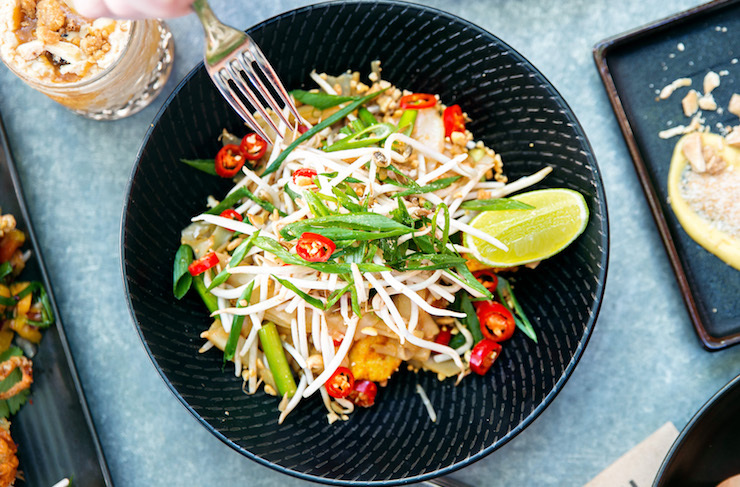 Nothing sums up the sweet and sour, hot and salty flavours of Bangkok street food like a really, really good Pad Thai, which the one you can get for $20 with a Chang beer on Tuesdays at Kitsch certainly is. Notoriously one of the cheapest good night’s out in Perth, it’s no surprise that Ezra Pound should offer some seriously generous specials throughout the week (eg. regular $10 Negroni specials on Thursdays). But their Tuesday special strikes a particularly weak chord with us; it’s $5 schooners all night long. Another fave Perth restaurant that offers daily specials (although usually of the tequila variety), Caballitos blitz your at-home Taco Tuesday with their $5-a-pop pockets of goodness. If you want a tropical twist to your Tuesday, head down to Panama Social for their Two-Can Tuesday special. Get two cans of Tecate for $10, Feral Sly Fox for $14, and Green Beacon Windjammer IPA for $18; it's perfect for a night out with a friend. Add a $5 taco, and you're set for an amazing evening. 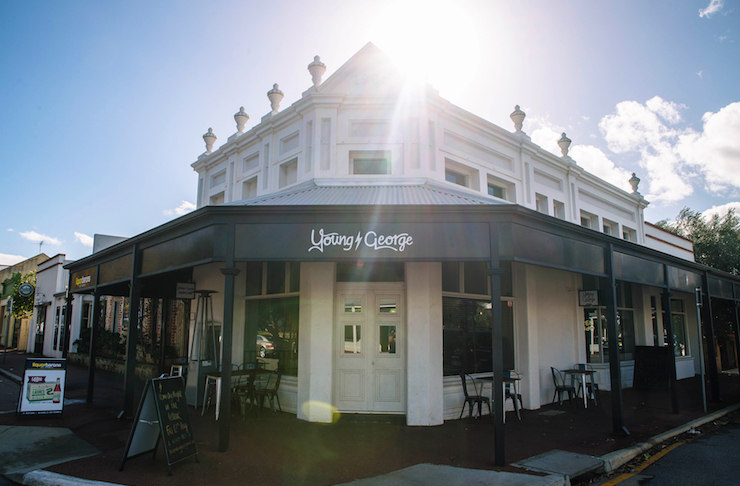 Young George has got to be the most effortlessly exceptional neighbourhood eatery going around, the kind we all wish was on our street’s corner. Tuesday nights are pizza nights here, where $16 gets you a woodfired pizza (so good they usually sell out) and a tap beer or wine. Head to LKCH on Tuesdays and Wednesdays to get around their $25 dinner deal; choose three dishes from their kitchen hits and enjoy complimentary rice. The menu changes on the regular, so there's always something new to try. We're always secretly hoping it's their curry puffs. For dining pairs that love pizza and beer deals but only ever want to share a pizza rather than ordering one each, Nowhereman Brewing offers up a Beer Beer Pizza deal on Wednesday nights for the bargain price of $25. Their pizzas are pretty good, too. Okay, also technically a pub but one with a serious point of difference, The Guildford Hotel's low and slow smoked meats should not be unfamiliar to Perth foodies—nor those seeking a good deal. Head in on Wednesday nights to feast on a pick of the day smoky meat, accompanied with the good ol’ pub chips and salad, for only $20. Go during happy hour (5 to 6pm) and pair that with a $9 pint or $7 wine to really bring it home. Hand over a $20 note to the good people at Tavolo on a Thursday night and you'll get any of their amazing pizzas. The hardest part is choosing one of their 14 delicious pizzas, the easy part is eating them. If you want to start the weekend early, head to the Aviary for their happy hour specials. Every Thursday and Friday, you can get $5 schooners, $6 wines, $7 house spirits, and $8 expresso martinis. These great deals only last from 5pm to 6pm, so you better sprint to the city to grab those drinks. Clarences' Peasant Kitchen deals are sure to make you feel like a king. Grab one of their peasant plates, which include three delicious meals, for just $20. Hanging out in the beer garden or getting a bit more proper in their dimly-lit restaurant is a great way to spend an evening—the cheap deal is just the cherry on top. If you're after a variety of delicious food, check out Dainty Dowager. Every Tuesday to Thursday you and a friend can get three dishes from their Chef's menu for $25. Plus, they'll even throw in complimentary rice. Keep a look out on their menu; the dishes change every fortnight, so there's always something new. Cook & Mason is hosting The Happiest Hour/s every single Friday. From 3pm to 6pm you'll get happy prices on wine, beer and spritz' by the glass, as well as $10 plates from the snack menu. You can never get enough nachos, especially at the Local Shack. Half-price nachos definitely hit the spot on a Sunday evening, and at $9, you'll definitely be ordering seconds. Don't worry, they've also got you covered on Saturdays, too, with amazing $8 cheeseburgers. Want more? 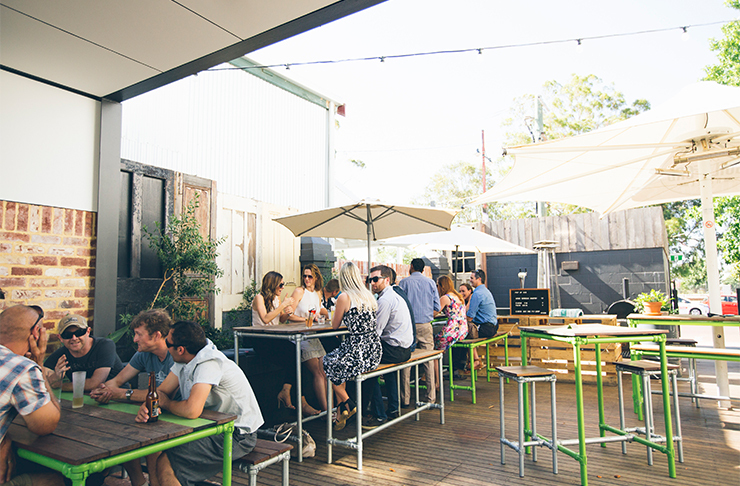 Check out our fave spots for a long lunch in Perth.